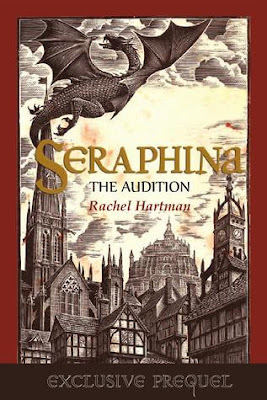 The Audition is a free prequel short story for Rachel Hartman's debut novel Seraphina. This story can be downloaded for free from Scribd by clicking here. I really enjoyed Seraphina (my review will be posted later today) so I couldn't wait to read the free prequel short story that was recently posted on Scribd. For those who have already read Seraphina you'll enjoy seeing this glimpse of how Seraphina came to end up working at the palace as an assistant to the court composer. For those who are new to the world Rachel Hartman has created this is a brief but fun introduction to some (but not all) of the main characters from the novel. Meet our heroine Seraphina, her music teacher Orma and court composer Viridius and follow the antics of Princess Glisselda as she tries to get out of her music lessons. Recommended for fans of the book and for anyone who wants to get an idea of the authors writing style. Source: Downloaded for free from Scribd here.